JUVENTUS have succeeded in bringing forward their vital Serie A match with Fiorentina to prepare for their Champions League showdown with Celtic. The Parkhead side have been drawn against the Italian giants for the last 16 clash. Serie A leaders Juve were due to face Fiorentina – who are also in the running for the title – at home on Sunday, February 10 just two days before they face the Hoops in Glasgow. The Italian league bosses have now agreed to move the game forward a day to help Juve prepare. It will now kick off at 6pm in Turin on the Saturday night. Celtic face Caley Thistle in Inverness that weekend before welcoming the Italians to Glasgow. The Parkhead men will be heartened by the fact Juve have a difficult February fixture list squeezed in between their two legs against the Hoops. They must travel to high-flying Roma and Napoli and also face Siena before welcoming Neil Lennon’s team to Turin for the second leg later that month. Meanwhile, Marcello Lippi reckons Juve have one of the best managers in the world. The Old Lady warmed up for the showdown with the Hoops by coming from behind to beat Cagliari 3-1 in Parma on Friday and extend their lead in the league to 10 points. 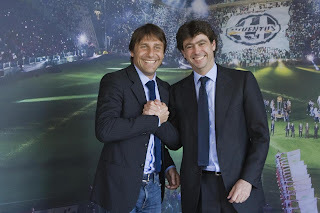 Lippi – an Italian World Cup winner and twice former manager of Juventus – has been impressed with Antonio Conte as the Turin side seem certainties to win another Serie A title. And he is adamant they have got themselves one of the best in the business. He said: “Antonio has given Juve a belief. “That’s because the DNA of Juventus is winning and the manager is a big part of that.